Australian Poetry subscriber, blogger and poet interviewer, Tony Messenger, also runs a charitable event in May each year, the Larapinta Extreme Walk. In 2019 he is offering a single place free of participation fees to an Australian poet. In partnership with the Larapinta Extreme Walk (‘LEW’), Australian Poetry is pleased to announce the call-out for an exciting new fellowship. Available exclusively to Australian Poetry subscribers, the Australian Poetry/ Larapinta Extreme Walk Fellowship is to be offered to an Australian poet able to hike the full length of the iconic Larapinta Trail in Central Australia, between 16-27th May 2019. The selected poet will participate in the 2019 hike, as part of a group of about 30 hikers; more information on the event can be found here, and applicants are strongly encouraged to read it closely before making their applications. 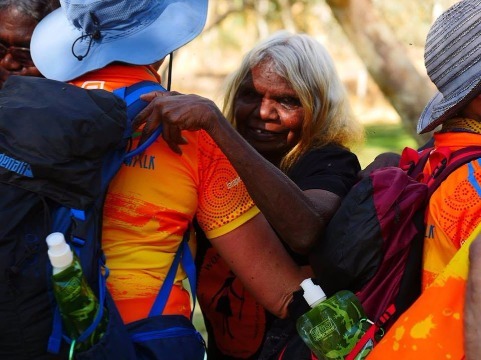 The Larapinta Extreme Walk was established in 2014 to raise funds to support the annual (Women only) Law and Culture meeting to empower indigenous women in the remote NPY region of central Australia. 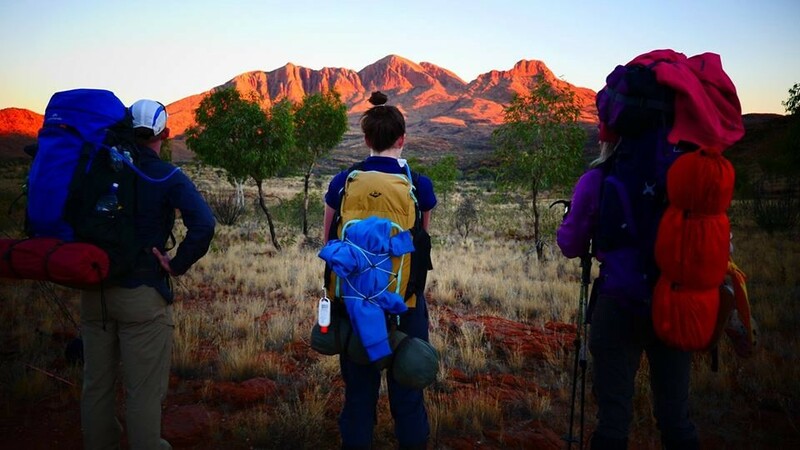 The Extreme walk sees participants walk the full length of the Larapinta Trail, 223kms over rough mountainous, rocky, dry desert terrain, in only 11 days (recommended completion time is between 16-21 days). No running water, no electricity, no telecommunication (and no alcohol!) – a truly remote experience of hiking and connection. The event allows participants to experience cultural sensitivity, learn the importance of Country, and be joined by special guests such as traditional owners. The event encompasses National Sorry Day and concludes with a ceremony attended by numerous central Australians. Recipients of the Larapinta Extreme Walk Fellowship have entry fees waived (entry fees cover the transportation of gear between camps, park and camp fees, all food and water for the duration of the event, special guests in camp and more); however, it remains the responsibility of the winner to have their own hiking and camping gear, make their own way to and from Alice Springs, as well as covering at least one night’s accommodation in Alice Springs (night of 27 May is minimum Alice Springs based accommodation, due to all flights leaving Alice Springs before the event concludes) during the residency. Participation costs for 2019 are $2,750 per participant – this is the fee that will be waived. Whilst eleven days of extensive hiking may not appear as an ideal writing environment, the interactions, connections made, remoteness will certainly be stimulants for thinking and creating. The massive landscape of remote central Australia and interactions with the indigenous women, allows the writer to immerse in a rich culture as well as the awareness of space and our place in that space. Alongside a current CV (which will include the contact details of three referees), a one-page statement of personal/creative motivation, and a one-page project proposal outlining creative activities that could be achieved as part of the hike, those interested in applying for this award are requested to also supply a folio of up to five poems (no more than 200 lines in total). This fellowship is not limited to Aboriginal and Torres Strait Islanders, or women writers. All poets who can hike 223kms through rough mountainous terrain are encouraged to apply. Please note, in order to apply for this award, applicants must be current subscribers to Australian Poetry. If you are not currently a subscriber, but wish to apply for this award, please subscribe first to Australian Poetry here.